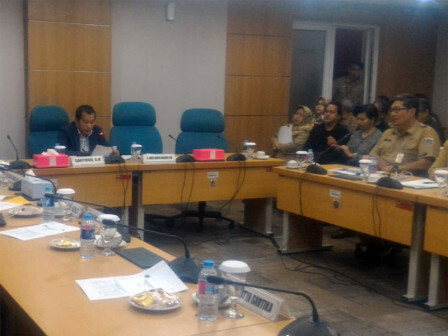 City DPRD's Commission C Chairman, Santoso revealed that the next year's grant budget injected by Jakarta Provincial Government could be used for the benefit of citizens.
" The total grant for organizations, institutions and agencies that will be given by the city is Rp 6 trillion"
"The total grant for organizations, institutions and agencies that will be given by the city is Rp 6 trillion. Surely it is a lot," he expressed, after a meeting with the executive in the meeting room belongs to City DPRD's Commission C, Tuesday (10/30). The grant provided must touch all aspects, such as education, sports, arts and culture, religion, small businesses, etc. "We want the grant budget to bring positive chan ge," he stated.